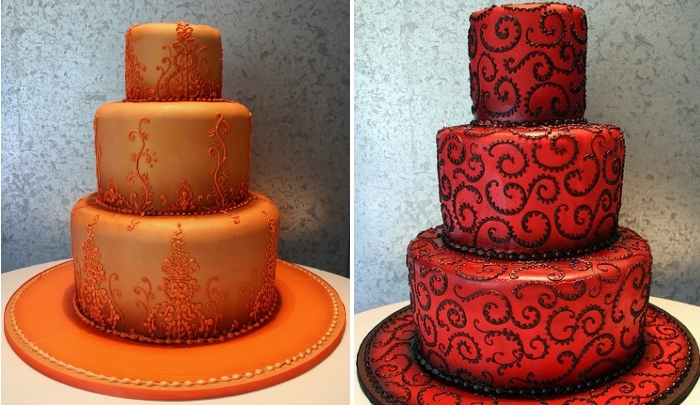 An Indian wedding cake not only incorporates bright colours associated with Indian weddings but also intricate designs like Henna patterns. It may be several tiers tall and it may be adorned with flowers, crystals and beautiful cake toppers. 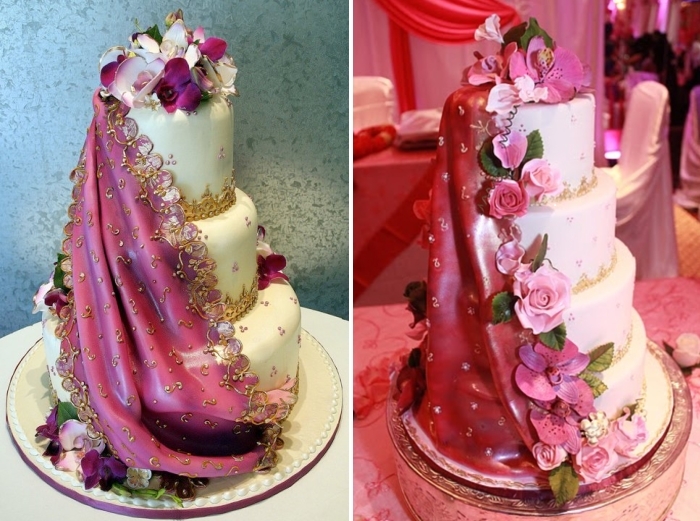 The wedding cake may even be draped in a saree from top to bottom just like the bride. The saree element and the flowers simply add to the beauty of these cakes. 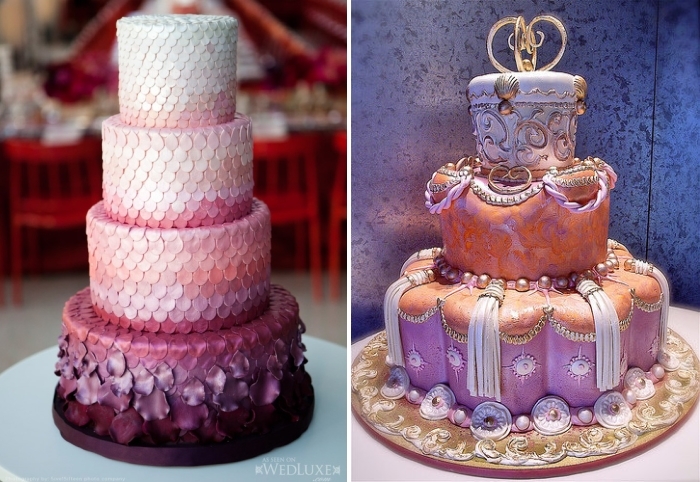 Peacock inspired cakes are quite popular in Indian weddings as peacock is the national bird of India. If you have selected peacock blue wedding theme for your wedding, then peacock inspired cake will be the best choice as it will also add to the decor. 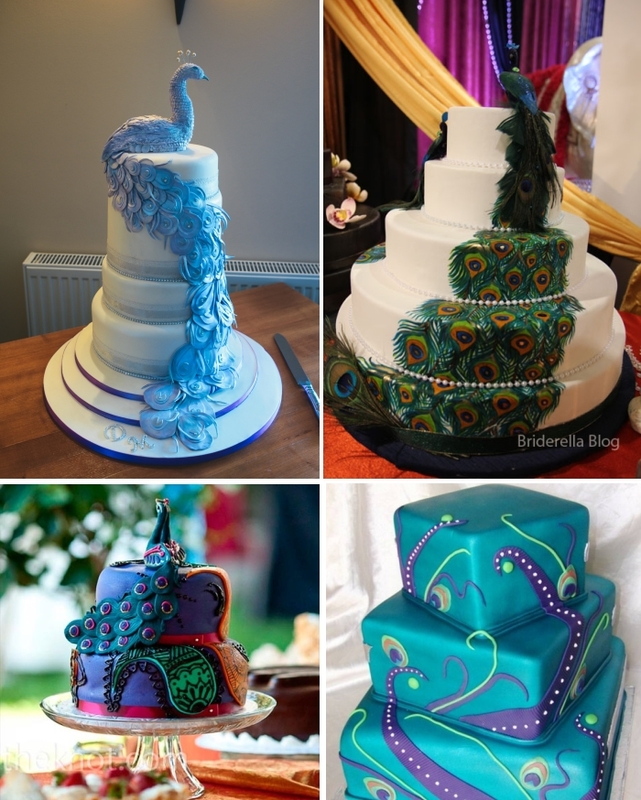 You may opt for a cake with blue icing to go with the wedding theme or a white cake with some edible peacock feathers on top of it. The role of elephants has always been important in royal families. Kings used to ride on elephants to symbolize their power. An elephant is also considered sacred as it is associated with lord Ganesha. It symbolizes good luck and prosperity. 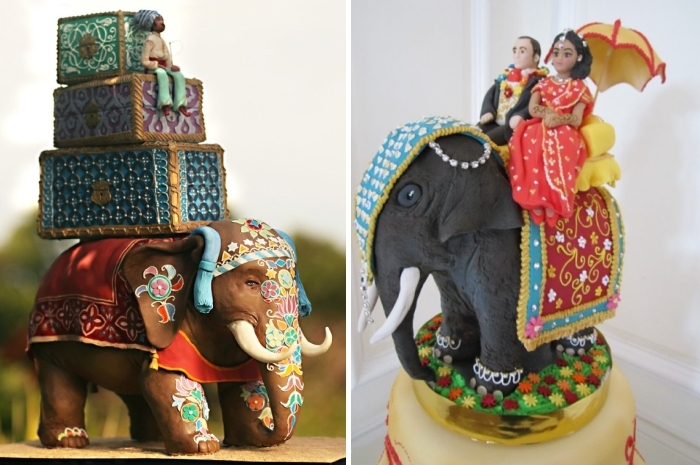 Here’s a cake inspired by decorated elephants used by the maharajas. The stack of luggage on top of the elephant signifies transition to the next phase of life for the bride and the groom after their marriage. Using an elephant as a cake topper can also be a great idea. Once you have selected your wedding cake, remember to use the best cake cutting accessory and that’s your smile!